The Big Idea: In times of crisis, it’s okay for children to play—in fact, it’s necessary for their well-being and development. Just like all children everywhere, children in crisis situations need to play, move, and feel at ease. 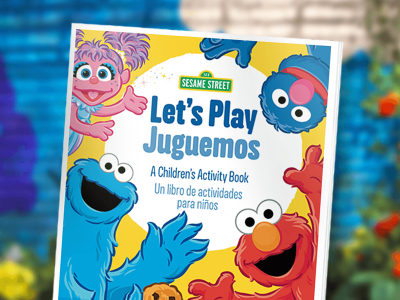 These pages are filled with movement games, drawing activities, and a storybook for you to share with children one-on-one, in small groups, or in large groups. They don’t require any materials except for pencils (children can use crayons, but they’re not necessary). Print and copy all the pages for children and staple into booklets, or just choose specific pages you want to share with children. Sit with an especially withdrawn child and begin working on a page yourself, slowly inviting him to “help” you. Work with a small group of children as they complete a page. Let them share with each other what they’ve done. Pair younger children with older buddies to help them complete the pages. Talk with children and ask questions about what they’ve drawn. Help them write their names somewhere on the front or backs of the pages, or do so for them. Depending on children’s ages, you might write their names lightly in pencil and invite them to trace over the letters. Help children find a safe place to keep their work, or display it (if possible).